For the seventh straight year, Meridian has conducted an extensive survey based on the public filings of 200 large cap companies (“Meridian 200”). This survey seeks to capture trends on a variety of executive compensation and corporate governance topics facing major companies today. ■ Prevalence of proxy access bylaws among the Meridian 200 (67%) nearly doubled from 2016 to 2017. 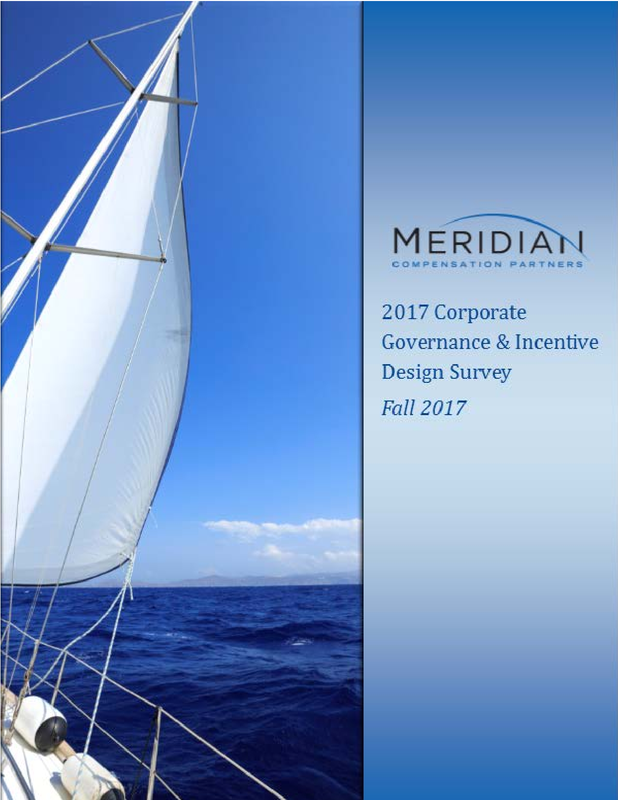 ■ The great majority of Meridian 200 companies (91%) elect directors annually (i.e., declassified structure). ■ Nearly all of the Meridian 200 (98%) have at least one female board member; however, approximately three-quarters (74%) have a board composition that is less than 30% female. ■ Almost two-thirds of the Meridian 200 (64%) include a summary at the beginning of the proxy statement. ■ While CD&A executive summaries and volitional disclosures are nearly universal (95%), such disclosures continue to increase in length, typically spanning three or more pages (70%). ■ Three-quarters of the Meridian 200 (75%) disclosed shareholder outreach efforts, with over one-third (35%) providing specific detail on feedback received and/or actions taken. ■ For annual incentive plans, the most prevalent performance metrics continue to be Operating Income, Revenue, Cash Flow and Earnings per Share (EPS). ■ Nearly all of the Meridian 200 (97%) grant performance-based vehicles as part of their long-term incentive (LTI) plans, with performance-based vehicles, on average, representing nearly 60% of the total LTI value for CEOs. ■ Relative total shareholder return (TSR) continues to be the most prevalent metric used in performance based LTI plans (64%), typically being paired with at least one additional performance metric (82%). ■ Nearly one-quarter (23%) of the Meridian 200 cap upside payouts of relative TSR plans in periods where shareholders experience negative absolute returns. Financial highlights of the Meridian 200 companies are provided below. All figures shown are as of the end of fiscal year 2016. Full survey results can be downloaded from Meridian’s website, www.meridiancp.com. 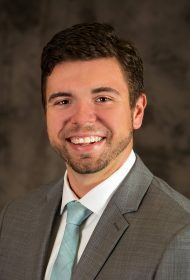 This survey was authored by Mike Meyer and other consultants of Meridian Compensation Partners, LLC. Questions and comments should be directed to Mr. Meyer at mmeyer@meridiancp.com or (847) 235-3627.
circumstances. The information provided herein should be reviewed with appropriate advisors concerning your own situation and issues.